I started this thread with a question about the Gospel of Thomas — almost certainly the most important Gospel not in the New Testament. Now that I have situated “Thomasine” Christianity in the context of the Nag Hammadi Library the broader Gnostic movement – and questioned whether it is actually a kind of Gnosticism, or simply something similar – I can turn to the Gospel itself. This will take three posts. The one today is a broad introduction to its character. I have taken this from my textbook, The New Testament: A Historical Introduction to the Early Christian Writings. The Gospel of Thomas is without question the most significant book discovered in the Nag Hammadi library. Unlike the Gospel of Peter, discovered sixty years earlier, this book is completely preserved. It has no narrative at all, no stories about anything that Jesus did, no references to his death and resurrection. The Gospel of Thomas is a collection of 114 sayings of Jesus. The Sayings of the Collection. The sayings are not arranged in any recognizable order. Nor are they set within any context, except in a few instances in which Jesus is said to reply to a direct question of his disciples. Most of the sayings begin simply with the words “Jesus said.” In terms of genre, the book looks less like the New Testament Gospels and more like the Book of Proverbs in the Hebrew Bible. Like Proverbs, it is a collection of sayings that are meant to bring wisdom to the one who can understand it. In fact, the opening statement indicates that the correct understanding of these sayings will provide more than wisdom; it will bring eternal life: “These are the secret words which the living Jesus spoke, and Didymus Judas Thomas wrote them down. And he said, ‘He who finds the meaning of these words will not taste death’” (Gosp. Thom. 1). The Jesus of this Gospel is not the Jewish messiah that we have seen in other Gospels, not the miracle-working Son of God, not the crucified and resurrected Lord, and not the Son of Man who will return on the clouds of heaven. He is the eternal Jesus whose words bring salvation. The Reputed Author. Who is Didymus Judas Thomas, who allegedly penned these words? We know this name from other ancient Christian sources, such as the Acts of Thomas. Both “Didymus” and “Thomas” are words that mean “twin” (the first is Greek, the second Semitic); Judas is his proper name. According to the Acts of Thomas, he was a blood relation of Jesus, the same one mentioned in the New Testament (Mark 6:3). Thus, Didymus Judas Thomas was Jesus’ twin brother (see Box 13.2). Who better to relate the secret words of Jesus that can bring eternal life than his own twin brother? The Character of the Sayings. Many of the sayings of Jesus in this Gospel will be familiar to those who have read the Synoptic Gospels: “If a blind man leads a blind man, the two of them fall into a pit” (Gosp. Thom. 34); “Blessed are the poor, for yours is the Kingdom of Heaven” (54); “The harvest is great, but the workers are few; but beseech the Lord to send workers to the harvest” (73). Somewhat more than half of the sayings in Thomas can be found in the Synoptic Gospels. Other sayings sound vaguely familiar, yet somewhat peculiar: “Let him who seeks not cease seeking until he finds, and when he finds, he will be troubled, and when he is troubled, he will marvel, and he will rule over the All” (2). Still other sayings of Jesus in the Gospel of Thomas sound quite unlike anything known from the New Testament: “ . . . On the day when you were one, you became two. 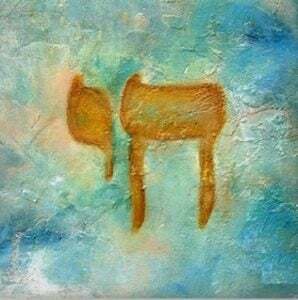 But when you have become two, what will you do?” (11); “If the flesh exists because of spirit, it is a miracle, but if spirit exists because of the body, it is a miracle of miracles. But I marvel at how this great wealth established itself in this poverty” (29); “I stood in the midst of the World, and I appeared to them in the flesh. I found all of them drunk; I did not find any of them thirsting. And my soul was pained for the sons of men because they are blind in their hearts, and they do not see that they came empty into the world. . . . When they have shaken off their wine, then they shall repent” (28); “His disciples said, ‘On what day will you be revealed to us and on what day shall we see you?’ Jesus said, ‘When you undress without being ashamed, and you take your clothes and put them under your feet as little children and tramp on them, then you shall see the Son of the Living One, and you shall not fear” (37); “If they say to you, ‘Where did you come from?’ say to them, ‘We came from the light, the place where the light came into being on its own and established itself and became manifest through their image.’ If they say to you, ‘Is it you?’ say, ‘We are its children and we are the elect of the living father’” (50); and, one of the most telling sayings of the entire book: “Jesus said, ‘Whoever has come to understand the world has found only a corpse, and whoever has found a corpse is superior to the world’” (56). Regarding the sayings from Thomas that are not in the synoptics–obviously we can’t know for sure if anything in any gospel was said by Jesus. But it seems likely at least some of them are more or less verbatim (since short pithy sayings tend to stick in the memory, albeit sometimes wrongly attributed). In your opinion, are some of the non-synoptic sayings in Thomas legimately preserved sayings of Jesus? And by implication, did the synoptic authors edit out things Jesus was remembered to have said that they couldn’t make fit into their respective visions of him? I love reading your blog. This is one of my favorite topics. Another is research on Mary Magdalene. Very interesting. YOu might want to check out my book Peter, Paul, and Mary Magdalene. If one takes this ‘salvific knowledge/gnosis’ to be the primary defining characteristic of gnosticism (I know you do not), then a fundamentalist sola fide interpretation of Christianity is indeed a modern example of gnosticism. The content of what one must believe may be different from that of the Sethians, Valentinians, or Thomasines, ie, modern fundamentalists must merely believe in some kind of penal substitution or other theory of atonement and they are saved. Intellectual assent to the theory of atonement is the saving gnosis. What do you make of the role of James in the Thomasine community? I think it was intended to imply that the Thomasine community and its tradition were legitimate heirs to the original (but now defunct) Christian authority in Jerusalem. Against those who say their form of Christianity is novel or not in line with the developing proto-orthodoxy, they could say, “No, we are heirs to the very first Christians in Jerusalem, not only Jude but James as well.” Convenient that the Jerusalem authorities were no longer around to contradict this. Saying 43 does not indicate any affinity to “Jews” so I don’t think it likely this would be an authentic connection with James. To me, this is a great example for “why” the book was not regarded as “canon” by Cathage’s council in 379. Only the Gospel of John refers to Thomas as “Didymus”, so does that suggest the idea of Thomas as a twin of Jesus came later than the Synoptics? Or since “Thomas” itself means “twin” does it make a difference that only John uses “Didymus?” Do we know how “Thomas” the disciple came to be associated with “Judas” the brother of Jesus, or did it just pop up in the early writings at some point? Yes, certainly later than the Synoptics. Didymus is the Greek word for twin; Thomas the Aramaic. I’m not sure why Jude, among Jesus’ brothers, was chosen to be the twin. But the most important sources are the Acts of Thomas. I’ll ask Steven to figure it out. John the Baptist preached repentance as a means of salvation from a coming wrath. Matthew 24: 29-30, the Biblical Jesus says after the tribulation, the sign of the Son of Man will appear in heaven. Luke 21: 25-27 says it will not be the sign of the Son of Man appearing in heaven but the Son of Man himself coming from the sky upon a cloud. John the Baptist seems to be saying cleanse the heart, cleanse the conscience, cleanse the ego, cleanse any criminality within oneself with Jesus saying be as innocent as a child in order to enter the Son of Man’s Kingdom of Heaven. John seems to be saying there will be a judgment of who is in the right frame of mind to enter the Kingdom of Heaven. Jesus seems to agree but calls Jerusalem surrounded by armies which in itself is a wrathful judgment upon the Jews (a wrathful judgment upon this people–Luke 21: 23) part of the Tribulation, as we know from history for starting a Jewish Civil War and a Jewish Revolt. The surrounding by Roman armies is a or the passing Judgment on the people of Jerusalem for starting the Jewish Civil War and Revolt. John the Baptist foresaw a wrath coming upon Jerusalem from Roman armies (AD 70) as Jesus did? Since the baptisms of John the Baptist happened at the start of Jesus’ ministry, Jesus had some months to preach what must be done to head off the attack on Rome followed by civil war and Jewish Revolt and be saved from Roman wrath? John the Baptist and Jesus can be preaching about spiritual salvation through the development of personal character that would be judged with wrath to determine entry into the Kingdom of God but they undeniably are also speaking of salvation from political wrath? I don’t think we can escape the need to be approved by Rome. I don’t think we can escape the need to be approved by Rome, or suffer its wrath unless we posit 1) wrath of disapproval by Rome followed by 2) wrath of disapproval for not being qualified to enter the Kingdom of God. But, history does not show us a second wrath, nor do the Jews defeat the Romans to give us a wrath by a supreme Hebrew God, so we must conclude the Biblical John and the Biblical Jesus were apocalyptic prophets for the wrath of a supreme Roman God and the holiness of these two prophets is the holiness of Roman religious influence, not Hebrew religious influence which did not force a military victor over Rome, destroying the temples of Rome’s supreme God; but its own supreme God’s temple was destroyed and its wealth was used to build the Flavian Amphitheatre, the Roman Colosseum. For scholars who do not accept the prophecy of Jesus about the tribulation of armies surrounding Jerusalem, we must look not at the wrath and judgment to come but the wrath and judgment that came. While there was a Passover lamb in Exodus and Jesus in religious circles represents a new Passover, what was the new exodus, from where to where? While there were sacrifices of sheep to the Hebrew God in Jerusalem on Passover 44 BC, there were sacrifices of sheep to Jupiter on the Ides of the month. Julius Caesar becomes a lamb of God on a festival day of Jupiter (a founding god of Rome) and Jesus becomes a lamb of God on a festival day of the Hebrew God who founded Jerusalem. When there is an empire with client kingdom provinces, there are imperial judgments (reward or wrath) on those provinces. Client provinces do pass on imperial culture to their cities and that is what the gospels did once the Jewish Revolt began with the gospel of Mark–trying to set culture for Jews 1) to not be zealots and 2) to flatter Rome by making Roman monarchs their messiah of love and mercy (Julius Caesar’s Venus and Clementia) and for Romans to have a Gentile/Pauline/Hellenist (Stephen the Martyr) bridge to Judaism. For keeping favor with Rome, one could see the book, The Many Faces of Herod the Great by Adam Kolman Marshak, Section I: Cultural and Intellectual Milieu, Chapter 1 Rome and Its Client Kings. Adam received his BA in History and Classics with honors and distinction from Stanford University (2001), and his PhD in History from Yale University (2007), where he was a Mellon Fellow in Humanistic Studies and Distinguished Teaching award winner. While at Yale, he also won the Robert F. Goheen Prize in Classical Studies (2004) and the W.F. Albright Institute of Archaeological Research’s Sean W. Dever Memorial Prize (2006). A good client king also acted as an instigator and advocate of cultural and social transmission and integration. Often cultural transmission had to occur in the king’s own family before it could truly spread to the population. We should, therefore, evaluate Julius Caesar’s grant of citizenship to Antipater, Herod the Great’s father, within this context. To repay Antipater for his support and heroism in battle, Caesar granted him and his children citizenship in 47 BCE. Because Herod the Great and his family had a stake in the Roman Empire, they sought to further integrate themselves and their country into the Roman world. The grant of citizenship was, therefore, a major impetus to the Romanization of Palestine under the Herodians. The imperial cult was another medium through which client kings could demonstrate their loyalty and appreciation, and its spread throughout the ancient world created a new forum for religious expression of loyalty by client kings. …as soon as the imperial cult became an established entity, provincial kings began playing active roles. Participation in the imperial cult served a dual purpose. On the one hand, it was a powerful religious ceremonial expression of loyalty, but on the other hand, it also vividly linked the king with the imperial family. 4) provide impetus and encouragement for the process of Romanization by which the country … assimilated. When Jewish rebels started anti-taxation protests, attacked Roman citizens and attacked Rome (Legion XII Fulminata) in 66 CE , Rome called in its favors from the Jewish elite to Fix this problem: take on the role of philosopher-king, change the culture, and turn around violent Jewish messianism into a messianism based on Rome’s a) God/Jupiter, b) Love/Venus, c) Mercy/Clementia and d) Roman stoicism. Perhaps you will be addressing this in your next post but, when was this written and is the date fairly secure? Thanks! Yup, I’ll be getting to that, tihs week! Dr. Ehrman, do you recognize any of these epigrams from the Gospel of Thomas in earlier faiths? Also, after listening to much of your Gospels debate, I’m curious why we hear little pertaining to what Christians reactions were to evolutionary changes in the Gospels. I understand an author modifying a story to conform to its present-day standards, to fill in the questionable blanks from earlier material, or to incorporate one’s own personal view, but wouldn’t followers have something to say about these blatant modifications? Of course I’m assuming that the Gospels were read or heard by vast amounts of followers in their respective time periods and that someone may have documented public reaction to any changes. As a side note, I think it’s telling that we’ve not had “god” or great prophets among us during greater periods of literacy. We don’t have any earlier sources that have these kinds of sayings. As to the canonical Gospels, my snese is that most people then are like most people now — they’ve never noticed all the changes and differences! That would be especially true in antiquity, when most people could not read, let alone engage in detailed literary analysis. Hi Bart, off topic but thanks for all your great work on the blog. As far as I can see you don’t hold any views that are particularly at odds with most other critical scholars so does it annoy you that you personally get so much flack from Christian fundamentalists? Also which other critical scholars would you recommend in a similar vein to yourself? Yeah, it is a bit frustrating at times. A lot of this stuff I learned in *seminary* in classes that were training pastors…. Do you know much about the history of where and when the doxology to the Lord’s prayer was added in Mt 6? It sounds triumphal in tone, so I was wondering if the earliest manuscripts that contained it could be traced to a time or place which coincided with the advancement of Christianity in some way? I don’t have my books with me (I’m on the road) so I can’t check to see when manuscripts started adding it — maybe someone else on the blog can help? I can say that the doxology can be found inteh form of the Lord’s Prayer found in the Didache, from after Matthew’s time. I don’t know if that affected scribes or not. If there was indeed a written document called “Q” then this would have served as it’s primary competitor. If the Gospel is most likely early second century, why are there not more sayings in common between Thomas and the New Testament? I see the connections you’ve referred to but I would think there would be more common ground. Would the streams of oral stories diverged so greatly that a good many sayings would not make it to the writers of our earlier Gospels? About half are in common. And that’s a remarkable amount. Most later Gospels simply didn’t use the NT Gospels for their sayings; I’m not sure Thomas did either. There were lots of streams of tradition. I have been catching up on some recent posts, and am still trying to understand how it is that Didymus, blind from a young age, could have a text of the gospels. If he was a contemporary of Athanasius, then there is a chance that the canon was not yet at a fixed point (but close), so which gospels did he know and quote? Where and how did he hear these gospel readings, and did he quote individual writing(s), or was the text of his gospel a sort of diatessaron? Did Didymus quote from outside of the canonical four? In your research, were you able to reconstruct the text of Didymus’ gospel? I should probably follow the brave lead of another on this blog and read your dissertation, but I am not able to afford Scholars’ Press titles anymore, even second hand copies! My first scholarly article, written while I was still a graduate student, tried to show that Didymus had a larger canon than Athanasius. He does refer to the Gospel of the Hebrews. And yes, I was able to reconstruct his Gospel text — at least parts of it (the parts he quoted). I’ve read a Dutch translation a while back of the Gospel of Thomas done by Gilles Quispel. He argued that Thomas consists of two sources; a Judean source predating Matthew and Luke (if my recollection is correct Quispel dates it around the time of Mark and Q) and an Alexandrian source he considered Gnostic and of a later date. However, Mark Goodacre thinks Thomas used the Synoptics as a source. Could you tell me what your thoughts are on whether or not Thomas is an independent source from the Synoptics? Hello, Bart. OK, very off topic, but it came up in a conversation today. Paul knew Peter and James, the Lord’s brother. Clearly, they had conversations. In what language did they converse? I’m guessing the Aramaic speaking Apostles didn’t know high level Greek and I doubt Paul spoke Aramaic. Whatever the answer, do you think the Apostles really understood all the theological implications of Paul’s “gospel”message? I’m assuming James spoke only Aramaic. Did they have a translator? I wish I knew! It’s my favorite saying. The material world is dead, lifeless. Once you realize it is just a cadaver, you can transcend it, focusing on the spirit and the spiritual realm rather than the physical. Are most (or all) of the sayings common to Thomas and the synoptics Q sayings? Could Thomas be a later form of Q.that omitted some of.the sayings in Matthew and Luke’s versions of Q and added others from a more gnostic source?